You’ve just completed the script for your next video ad. It is perfect. In your head, you can only hear it read by one person- Samuel L. Jackson. But he’s a celebrity, and you don’t have the funds to hire actual celebrity voices. How can you find a professional with the right sound for a rate that’s closer to your actual budget? First, you’re going to want to think about voice qualities. What is it you like about the celebrity voices you hear in your head when you read your script? Is it the commanding boom of Dwayne “The Rock” Johnson? The raspy edginess of Scarlett Johansson? The over-the-top absurdity of John Mulaney? Write those things down. That is what you are going to want to put in your casting call. A great way to communicate the vision you have for your spot is by posting a video or audio clip alongside your casting call. What has your celebrity muse performed that should inform the auditions you are getting? Finding a clip of it on YouTube, and sharing that with the voice Talent will give you a better chance of getting the sound you’re going for. 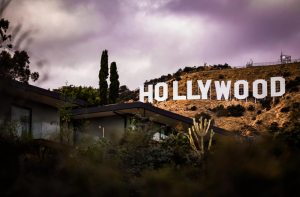 Are you ready to cast the voices for your next project – celebrity voices or otherwise? Post your project on VOICEOVERS.com. Who knows, maybe the Talent you hire will be even more perfect for your spot than the celebrity you were thinking of.